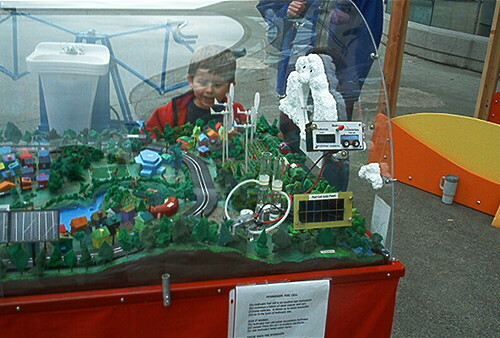 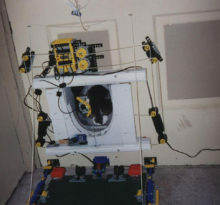 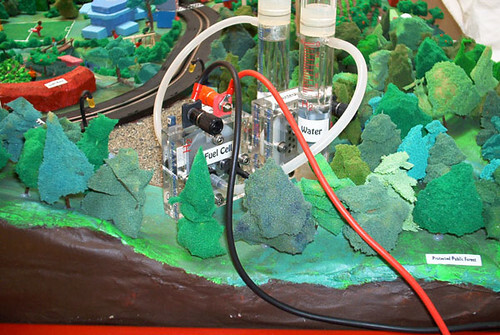 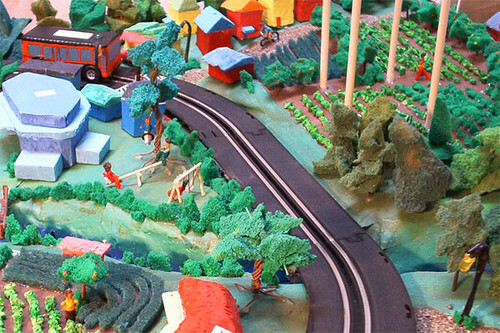 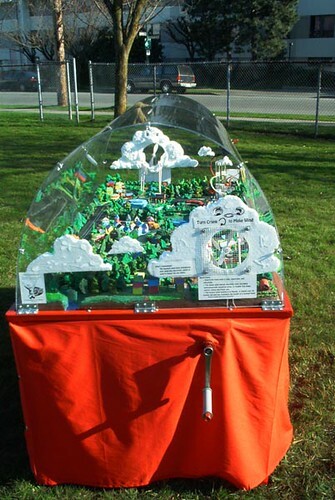 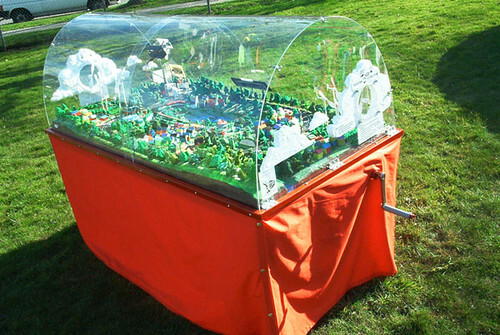 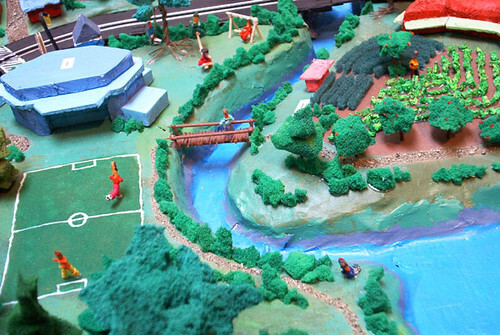 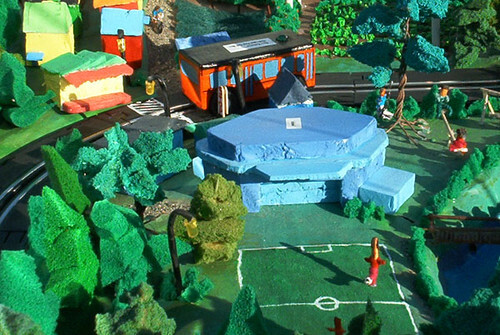 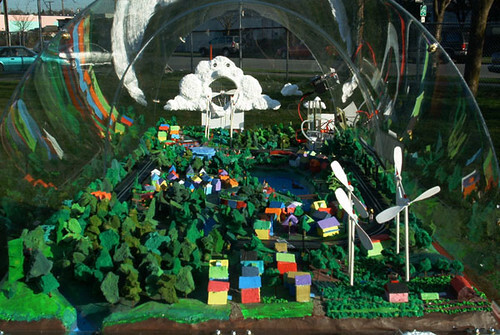 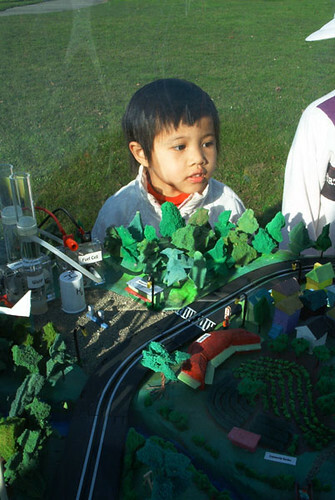 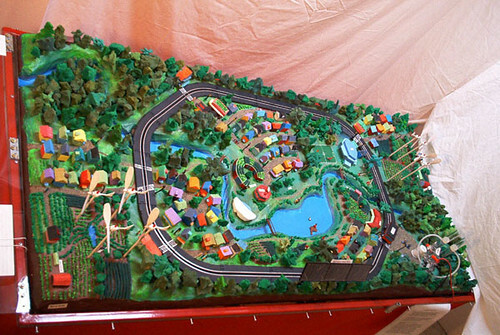 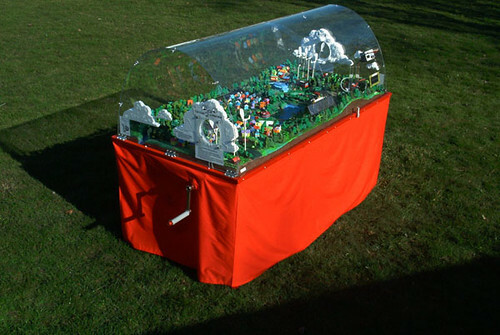 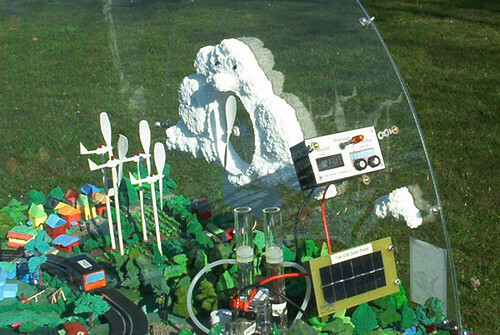 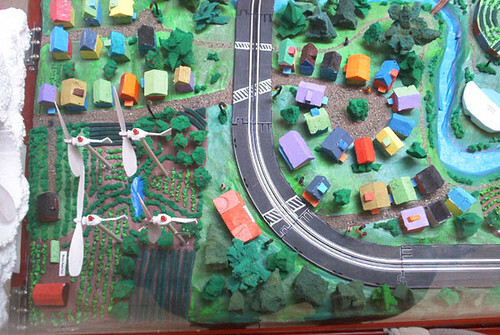 I designed and built this interactive display for the United Nation’s International Children’s Conference on the Environment, held at the University of Victoria in May 2002. 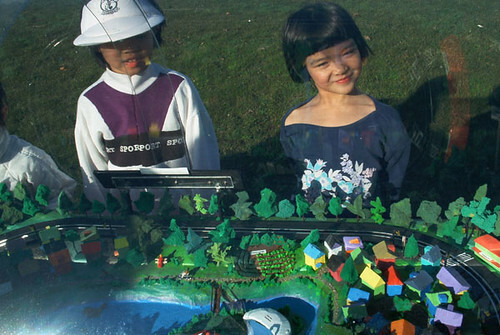 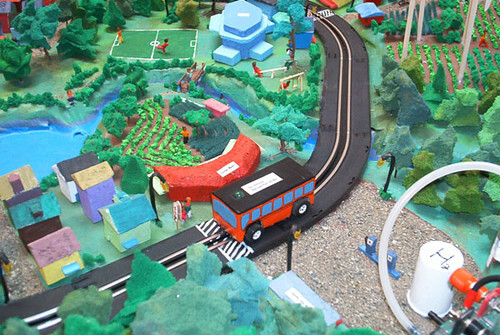 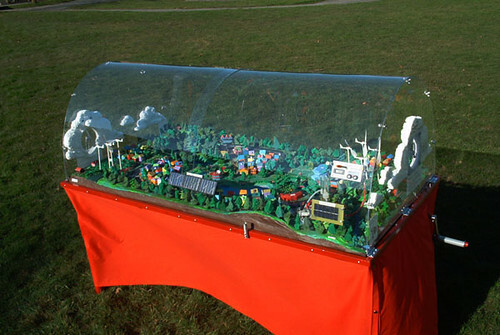 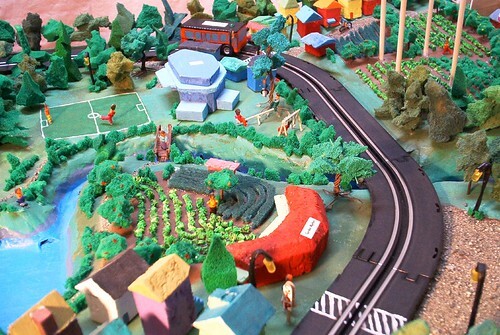 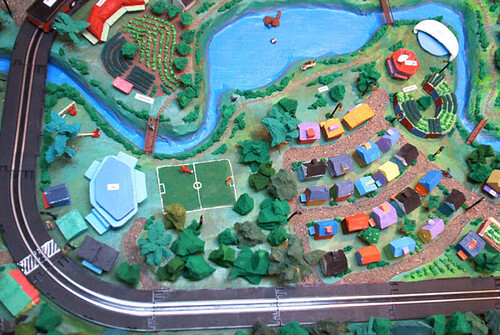 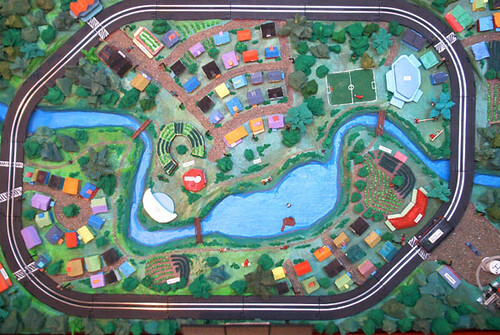 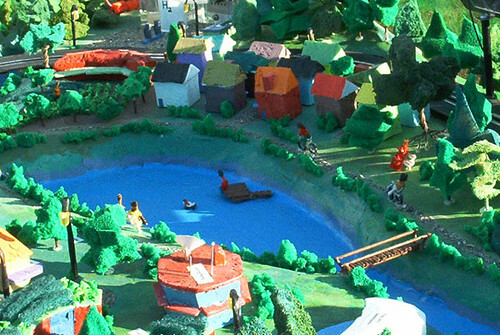 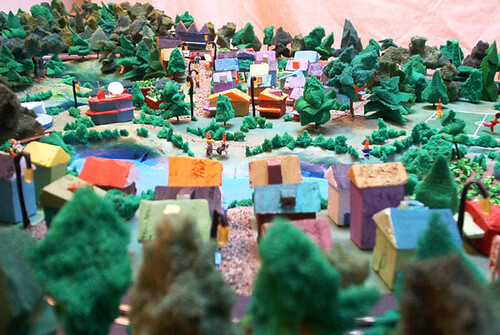 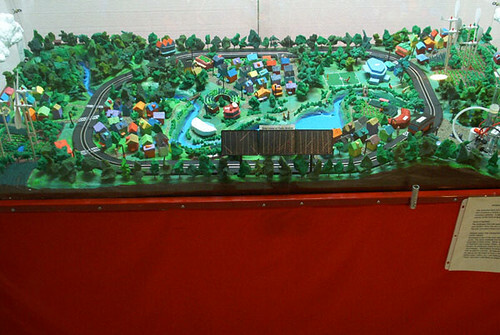 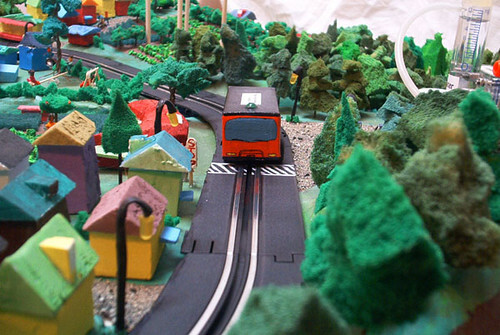 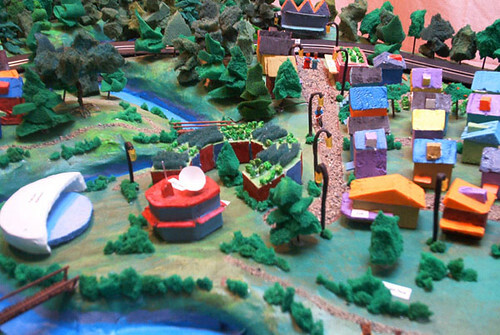 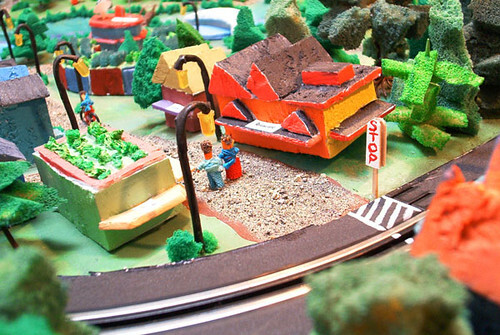 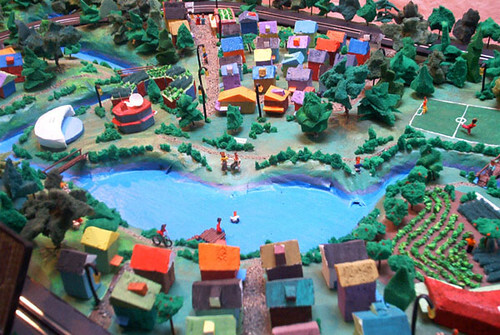 It’s designed to be an interactive learning exhibit that demonstrates principles of sustainable urban design. 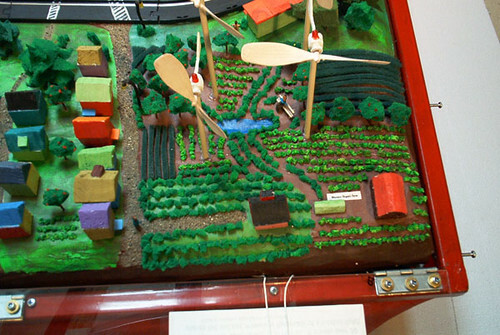 EcoCity includes two hand-cranks on either end that each create “wind” for two separate wind farms, each of which actually spin. 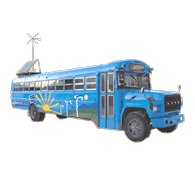 One wind farm powers the city lights (LEDs), while the other powers a real electrolyzer, which generates hydrogen gas for a hydrogen fuel cell powered city bus that moves around the city. 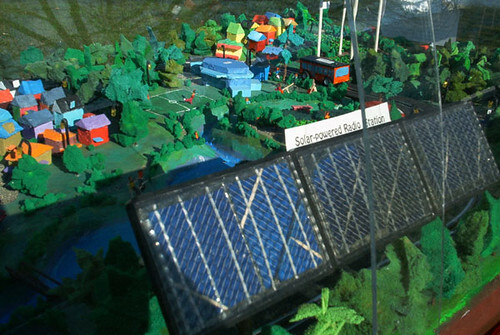 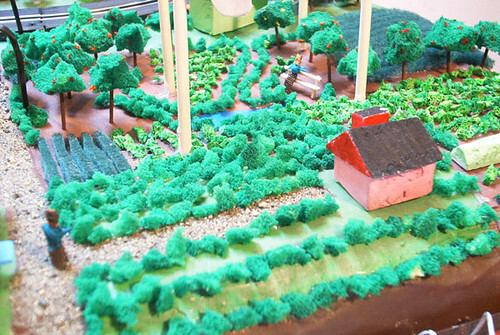 Also included is a working solar powered radio station, urban agriculture, and mixed use, solar oriented development. 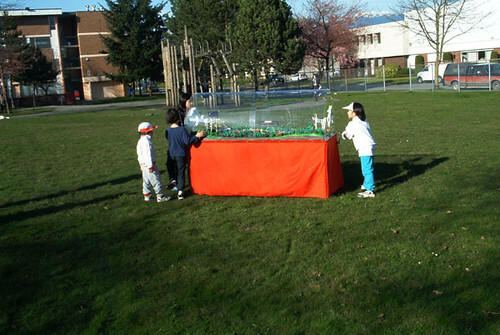 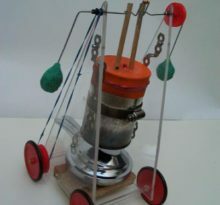 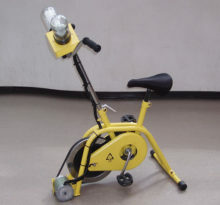 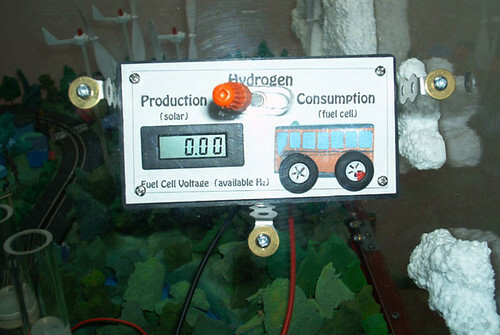 It was first presented at Science World in Vancouver forEarth Day and received an extremely positive response from both children and adults at both events.